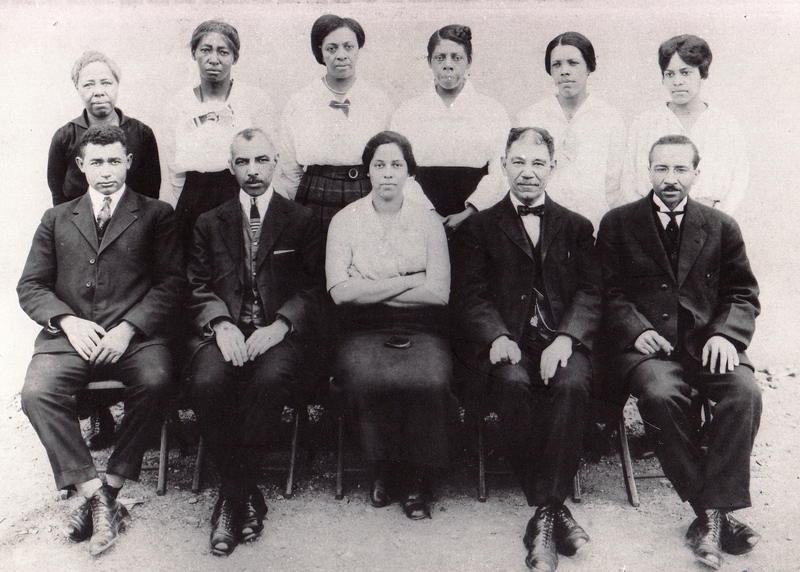 Prior to 1920, the colored boys and girls of Alexandria were taught separately in two buildings. The boys were in Snowden School, on the west side of South Pitt Street near Gibbon Street. Mr. John F. Parker was principal of Snowden School. The girls were in Hallowell School on, the east side of North Alfred Street between Princess and Oronoco Streets. Mr. Henry T. White was their principal. Mr. Henry T. White was selected to be the first principal of the combined schools of Snowden and Hallowell for black boys and black girls. The school was named Parker-Gray School after Mr. John F. Parker and Miss Sarah A. Gray. Ironically, Mr. John F. Parker’s declining health might have prevented the School Board for selecting him as the principal of the school that was named after him. This entry was posted in Education, Parker-Gray School and tagged 1920 Parker-Gray Class, Principal Henry T. White. Bookmark the permalink.